One that got away from my trip to the Netherlands. I like to re-visit shots. I find that by doing this that I haven’t been swayed in my opinion by my mood at the time. My Contribution to this weeks Monochromia blog. 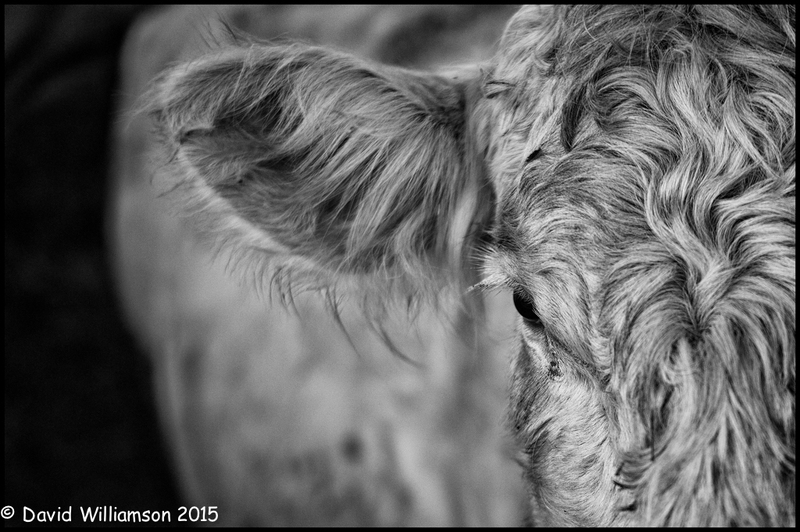 I took this shot while visiting a friends farm where they raise Charolais cattle.This is a close -up cropped shot. Taken with my Leica M9P and the Summicron 90mm f2.0 ASPH lens I have which is a little underused . However is my go to portrait lens. I decided to crop quite heavily with the eye as an anchor point to give the shot more impact. I think I have achieved what I wanted to do. I would be nice to read what you think dear reader. A New York City subway train holds 1,200 people. This blog was viewed about 6,200 times in 2014. If it were a NYC subway train, it would take about 5 trips to carry that many people.